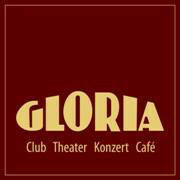 The Gloria is a beautiful, former premiere cinema in the heart of Cologne. The atmosphere and flair of the 50s have been preserved, creating something special for unusual and extravagant occasions. There are premieres and performances of films and theaters, world - famous stars, international designers have their shows, the art scene their spectacles and media their television productions as well as gala evenings and receptions. Furthermore, companies from industry and trade hold their presentations, conferences or congresses. At the weekends, a colorful party people meet in the hall equipped with the most modern sound and lighting technology to celebrate your dazzling events until early in the morning. Das Gloria ist ein wunderschönes, ehemaliges Premierenkino im Herzen Kölns. Man hat die Atmosphäre und das Flair der 50er Jahre erhalten und somit etwas Besonderes für ausgefallene und extravagante Anlässe geschaffen. Hier finden Premieren und Aufführungen von Filmen und Theater statt, Weltstars treten auf, internationale Designer haben ihre Shows, die Kunstszene ihre Spectacles und Medien ihre Fernsehproduktionen sowie Gala - Abende und Empfänge. Weiterhin führen Firmen aus Industrie und Handel ihre Präsentationen, Tagungen oder Kongresse durch. An den Wochenenden trifft sich ein buntes Partyvolk um in dem mit modernster Ton und Lichttechnik ausgestattetem Saal bis in den frühen morgen Ihre schillernden Events zu feiern.